Hello! My name is Arden Lapin and I am currently on my first trip out of the United States. 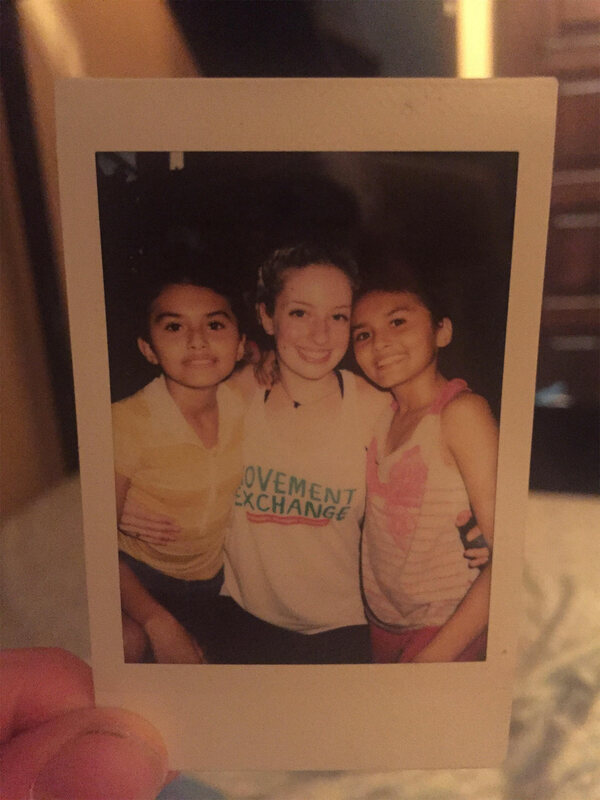 This was an especially exciting experience for me because, not only did I get to immerse myself in a new culture in Panama, but I got to do some amazing volunteer work through the organization Movement Exchange. Me and nineteen other girls (who I now consider to be close friends of mine) spent this week engaging with children at Xielo, the Danilo Perez Foundation, Hogar de la Infancia, and most frequently, Malambo orphanage. We also were able to dance with students our own age at the University of Panama which has the only dance department in Panama which I found to be very cool. I hope in the future there will be more dance departments for college students, but for now, University of Panama is doing a wonderful job getting the ball rolling. Panama is such a unique country and has so much richness to offer. I feel very lucky to have also been able to visit the ruins, beaches, and go on hikes. Experiencing a new culture through an exchange has been great because we have been constantly busy and pushing ourselves to make each day fulfilling. My favorite aspect of this trip has been our visits to Malambo orphanage. While we were there we got to teach dance classes to two groups of girls. I found that teaching the younger girls’ class came less naturally to me, mainly because of my limited Spanish vocabulary. The language barrier was difficult, especially on the first day with the kids, but as our time together progressed I started to find ways to communicate nonverbally. Some of the most memorable moments I shared with the younger girls were through small gestures such as a girl coming over to me to hold me hand or acting like elephants with me when we played the animal game. On the first day at Malambo when we went to our second class to teach the older girls, at first I felt a bit self conscious. The girls quickly picked up that me and a few others had no idea what they were saying when they talked to us in Spanish. Once they realized that we had limited communication skills, they seemed to lose interest in our class. I even thought that a group of girls might be making fun of me because I noticed they were all standing around looking at me and whispering and pointing. A little bit later, the girls went up to someone who was able to translate and excitedly told me that I looked like a doll because of my hair. I quickly realized that the girls actually just took an interest in me and were trying to figure me out and see what my personality was like. Once I understood what they were saying, I decided to go with the doll idea and acted goofy until they were laughing and it finally felt like we were on the same page. This was the first time that I felt like I shared common ground with the girls without trying to talk. As the week continued, I focused on amplifying my acting and facial expressions with the kids to try to communicate and I found that I started to get a response from them. As the kids got more comfortable with us, the language barrier seemed to become less and less of an issue and I could tell that some of the girls recognized me and even would come over to me and light up when I talked to them. By the end of our time at Malambo, I had made connections with some of the girls that quickly made a huge impact on me. I especially bonded with two twins girls who were constantly smiling. They were so silly and goofy and I swear I never saw them do anything but enjoy themselves and have a good time. Their excitement and joy was contagious and reminded me how important it is to have fun and not take yourself too seriously. Especially in a dance context, I think we can get very caught up in right and wrong rather than just living in the moment and reminding ourselves that we dance because it feels so good. The most bittersweet moment I had on the trip was when we were leaving Malambo for the last time. The orphanage is on a huge hill and the girls followed us all the way up the stairs to our bus. I saw a girl standing alone nearby that I had played with earlier that day. When I came over to her she suddenly had the biggest smile on her face and gave me a hug and kiss on the neck that was so sweet and affectionate. I had already said goodbye to the twins downstairs, so I was surprised when I walked up to the bus and saw that they had been waiting for me. The two girls immediately sprinted over to me and gave me a huge hug. Even in our goodbye, the girls were still so smiley and bubbly. As I sat on the bus, they ran to my window, jumping around and waving and blowing kisses to me. The bus pulled away and one of the girls ran after us all the way down the hill until she couldn’t keep up anymore. Although our time with these kids was short, we built meaningful connections that are bound to have a lasting impact for both the children and for us as dance diplomats. It amazes me how much trust and friendship that these girls gave me despite our very limited circumstances. The power of movement has given all of us an outlet for joy, expression, and communication that is not limited only to our service here in Panama. I look forward to applying the newfound concepts of compassion and sharing through movement that I have learned from my new friends here.